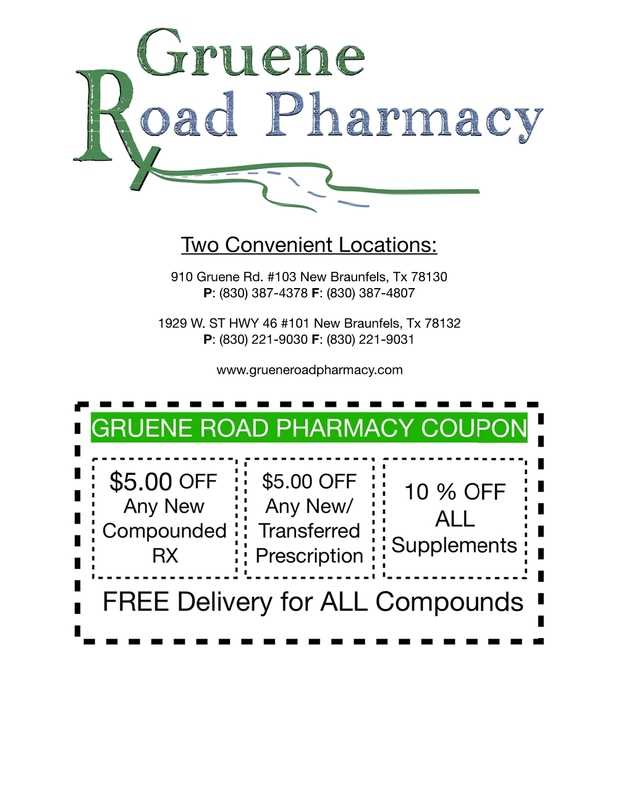 Here at Gruene Road Pharmacy, we continue to work with patients to get the lowest cost medication possible. Please notify our staff if your medication(s) are cheaper at a different pharmacy. We will price match and often beat a competitors price in most cases. Present the coupon below at pickup to receive saving on compounded medications.